Hats by Zarbella designer Julia Watson uses traditional hand-made millinery techniques and classic craftsmanship combined with a background in design engineering to create her signature unique, innovative and elegant hat creations. 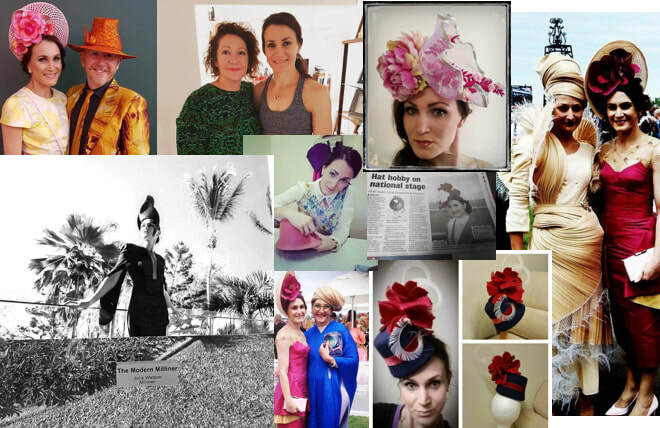 Hats by Zarbella has become synonymous for meticulously hand crafted distinctive millinery pieces using the finest luxury and select organic materials and elements. Wearing a Zarbella hat and headwear is a way to express you're individuality and give you a sense of confidence and beauty.